Custom illustrations and stylized hand drawn artwork is often the finishing touch that separates a custom site from a template you might find on thousands of other sites or blogs. If you need a true artistic touch for your project, we’re the team for that. Simplicity is the ultimate sophistication (according to Steve Jobs), so how does one confine a company’s essence in a simple and clean logo? Well, that’s where we come in. If you need help developing your brand and using it to position your company in the marketplace we’re the team for that. Applications on any platform, blogs, e-commerce and social media sites etc all require experienced hands to keep things clean and polished for users. Even typical corporate “brochure-ware” sites are no longer cookie cutter on today’s web. Need to explore the options, define the goals and make the site convert traffic into dollars, we’re the team for that. More important than a great design, even more important than a fast loading site, still more important than a lot of traffic itself; does that traffic convert into inquires, sales and time spent on site? Need your web site to be more effective? We’re the team for that. 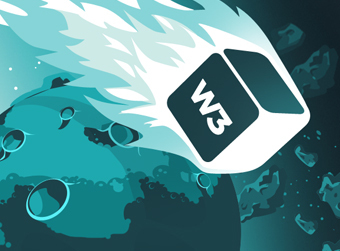 W3 EDGE offers value by managing the construction of your site from start to finish. Cost-effectiveness begins at the design stage. We also employ open standards during the development and implementation of your site, making it easier and less costly to make changes to your cyber-storefront appearance and/or list of features. Studies by major corporation has shown that every split second counts when a customer decides to visit your site. We know how to shave those valuable seconds of your site’s load time. If you have a web site that’s terribly slow or just not fast enough and want to stop losing money as a result, we’re the team for that.